How should we treat questions regarding philosophy and God? Does philosophy stray from its purpose when it discusses God? Do questions concerning God merit philosophical analysis? Or in the broadest terms, are investigations into philosophy and God really investigations of the same thing? Philosophy and God have never really existed as two distinct subject areas. To postulate or to consider the existence of a deity is necessarily to engage in philosophical speculation. If we view philosophy as the definition of its root (philo = love of; sophia = knowledge) a love of knowledge – then at the deepest levels of the search for knowledge the question of the existence or not of God will be of major concern. The history of both philosophy and God concepts goes back to the very beginnings of human existence. Philosophy, in its crudest formulation is merely to think about the world. The concept of God arose as an attempt to explain that world. How that concept was conceived and subsequently used is a subject of much speculation, however I believe that there is a case to be made for the argument that the God concept was originally a metaphor used as a guide to explaining existence. Pre-Christian belief systems were Pagan. Socrates, Aristotle and Plato were pagans. They sought explanation through reason but were quite comfortable with the idea of offering metaphorical accounts to provide answers to their arguments. Pagan teachers would take their students through a series of stories, each attempting to deepen the level of understanding. The idea that God and the universe is the same thing was just one metaphor which was aimed at giving a valid account of existence. Today, we call such views pantheism. Pantheism is the probably the oldest account of explanation for the universe and I would argue, is still probably the most reasonable account of explaining the universe. The approach to learning and understanding changed when the early Christian church decided what the truth was going to be. They enforced their views with terror. Any non-Christian believers were slaughtered. The notion of God changed from that of metaphor to one of literal existence. God became a separate entity from the universe and was considered to be a literal truth. The concepts and definitions of what God represented were subverted and changed. By way of example we can look at the ideas of omnipotence, omniscience and omnipresence. In a pantheist account we can see how all of these ideas make perfectly good sense. They do help to offer insights into the nature of reality. They describe an oneness of reality; a unity of man and the universe. Omnipotence means all powerful. In pantheist terminology it just means all that exists is God. All power (read all energy) is God. We can take the notion to a deeper level and look at the act of creation itself. All things that exist have a cause. That cause is outside of the existing thing. I for example am caused by my parents and my environment. My coffee mug is caused by a lump of clay and some human activity in a factory. All things can be explained by reference to some cause outside of the thing that is being explained. The one exception to this is the universe itself. The universe is self caused. The reason for the universes existence does not depend on something outside of it, it depends on itself only. It can therefore be said that the universe is unlimited by anything; the universe is only limited by its own nature. Again it is all powerful. All other things are limited by factors external to them. The universe is metaphorically omnipotent. It contains all power that exists, and it is not affected or limited by anything outside of itself. The universe is clearly omnipresent. Whatever space exists does so as part of the universe. Each and every bit of the universe is a part of God. God is truly omnipresent. He is everywhere. The idea of omniscience can also be quite adequately described in pantheist terms. All knowledge that is held by man is knowledge that the universe has. All knowledge ultimately belongs to the universe. The Christian church took these ideas and turned them into something else. The notion of God as an all powerful entity external to the universe was used as a political weapon. The metaphors that had been used to aid in learning became tools of oppression. The omnipotent God became a God who could do anything he wished. People were at his mercy because of his power. His omnipresence and omniscience were the pre-technological equivalents of Orwellian Big Brother. You were always being watched and would be punished mercilessly by the all powerful god. We can even extend this comparison to the idea of heaven and hell. The metaphoric account which seeks to help with truth is quite simple to understand. It is by our actions with each other that decide whether our time on earth will be heavenly or hell. We can create a heaven on earth through our acts or we can create hell. We can also frame this in an eternal way by extending our perspective into the past. What has happened in the past will always be a part of this universe. For all eternity, events that have occurred will make up a part of what this universe is. In that sense, all our actions contribute to the creation of heaven and hell on earth and those actions will be in place (in the past) for all eternity. The Christian dialogue turned this around to being a futuristic claim. Heaven and hell became somewhere to go in the future. Heaven became a place of reward and hell a place of eternal punishment. Again we see a perversion of metaphor for the purpose of Big Brother political control. That control was exerted through force and mankind didn’t begin to escape the chains until relatively recently. Even as the retreat from theism began, it was prudent to couch your science and philosophy in theistic terminology. It was only about 400 years ago that any branch of knowledge would be included within the subject of natural philosophy. What today we would call math, history or science, indeed any branch of knowledge was until very recently all under the umbrella term philosophy. (At the highest level of education it still is. The highest degree awarded today is the Doctorate of Philosophy.) It was only with the onset of the enlightenment and a structured approach to the uncovering of knowledge that philosophy began to shrink as a subject. As empirical and rational investigations became the standard, so the speculations and influence of philosophy as a subject in its own right increasingly dwindled. Shrinkage in content area could be viewed as the consequence of the success of philosophy. As rational investigation became organised and generated branches or paths to certain knowledge, so those branches broke off and became subjects in their own right. The certainties in math or in science became formalised and structured with a high degree of verifiability. As philosophy was successful in giving birth to the age of rationalism, so philosophy became the domain of all those things that remained uncertain, or unverifiable to the eye of analysis. Philosophy became the subject of speculation and of uncertainty. The philosophical schools of thought that evolved out of the16th/17th century enlightenment were very often couched in theistic terminology. This is understandable given that the pursuit of knowledge could only gradually pull itself out of the imposition and threats of cultural theism. As science developed it created terms such as the ‘laws of nature,’ which gave the impression that these were God’s laws that He had created. Descartes famously asserted that God was a good God and that he would not deceive us. Thus we could have confidence in our ability to make rational sense of the world. Such confidence being the very first step required on the road to a rational enquiry of the universe. So how do philosophy and God get along now? Philosophy will always have a place in its subject matter for the concept of God. That is without doubt. The idea that a God of theism will always be around as a concept is somewhat less certain. Theism has never had a sound philosophical or rational foundation. Note the overuse of the term “faith.” It has a history of being imposed on populations by force and by intolerance, never by rational persuasion. If philosophy insists on coherence, consistency and internal non-contradiction then the current idea of a theistic God has to be scrapped or at least modified. Without engaging in detailed argument, an all powerful God cannot be recognised as internally consistent. An omnipresent God cannot be a God that is set apart from, and thus be distinct from the universe that He has created. Any ethical system based on theistic principles has to explain how the all knowing God takes responsibility for His creation. If I sin it is because God has created me as a sinner. A benevolent God cannot accuse and punish me for His own design faults. 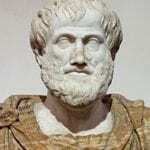 Rational philosophy, though it seldom has practitioners who argue for a theistic God does have plenty of commentators who are content with discussing the concept of God in other forms, most notably the conception of the pantheist God. Pantheism has had many promoters and followers and many people of great talent and intellect have been pantheists. The idea in pantheism is that God and the universe are precisely the same. This is what my blog is about. I shall be discussing issues pertaining to the questions of the ultimate reality. I shall question atheism and I shall question theism. I shall, over time present a case for the principles of pantheistic belief. I shall be looking at science and epistemology; at physics and at belief systems that attempt to describe the world. I am doing this to promote my book “The Rational God” which can be found at TheRationalGod website. It is a theory of everything; it unites science and philosophy in a unique, coherent and convincing way. I shall be stating that the claims of theism only make sense if they are taken metaphorically. I shall also be taking atheists to task if they import philosophical ideas into their belief systems and present them as scientific fact. Those pure atheists who merely claim that theism is false will be safe from my criticisms. I shall attempt to expose only those who unnecessarily develop their atheism into a more complex belief system. I shall be making distinctions between different types of theism and atheism. In theism for example, there are the those who seek to interpret scripture literally. The metaphoric theists I shall give more leeway to, as they are more likely to be engaged in a philosophy of interpretation and that is more in line with the principles of enquiry and investigation. Pure atheists are those who merely view their atheism as ‘a’ – theism; a lack of belief in theism. This is a valid position, merely stating the view that theism is false. Extended atheism is a different kind of belief system. Some atheists have gone beyond the simple atheism of a disbelief in theism and embraced other beliefs as part of their atheism. Such atheists will claim that materialism is a part of believing in atheism for example, or they may argue that mind is wholly reducible to matter. Atheism does not entail any other belief. It only entails a disbelief in theism. Attempting to smuggle in other ideas and concepts and pass them off as the same as a disbelief in theism is either disingenuous or sloppy philosophy. My position does to some extent, close the gap between theism and atheism. I propose to further diminish the distinction by arguing the case for pantheism. God beliefs in themselves are not irrational; only some God beliefs are based on unsound premises. Metaphoric interpretations of theism and pure atheism are for me valid philosophical positions. Literal theism is clearly false whilst material atheism, for example, is a philosophical position and not scientific fact. Philosophy and God make perfect bedfellows. Engaging the mind in ideas and definitions that cut right to the heart of reality is precisely what philosophy and God concepts are all about. I have enjoyed reading about the Rational God on the website but that also raised a lot questions I had about Christianity. Since the bible bases its arguments on faith alone, can we then say that there is a lie in what its writers have written? For example can we say that the account of Jesus changing water into wine is just a misunderstanding by the writer of the story? Can we say that the writer of the story of Lazarus in the bible misunderstood what happened at the grave and thought that he was dead while it was not the case? The bible accounts of Jesus are the only material that is about miracles that has ever been written by many writers concuring regarding his power and his relationship to a God who is outside the universe. One might say that the disciples fabricated all the stories in the new testament since they were close to Jesus and since they wanted freedom from the Romans (which makes them likely to claim the powers of God that the Roman would fall for) but what about what Isiah writes in the chapter 53 which has been termed the prophecy about Jesus? Was that fabricated too or was that chapter just inseted after Jesus’ death just to support the accounts of the New Testament? I would wish to hear thoughts on these questions.